The best way for your children to prevent decay in their teeth is to brush and floss frequently but even then, problems may still arise. Leftover food often causes decay to grow in tight spaces that needs to be treated immediately. Precautionary measures should also include bi-annual dental examinations and cleanings on top of daily routines. One of the best ways to prevent molar decay is with dental sealants. You can think of dental sealants as a rain jacket for your child’s molars, protecting them from food that often gets caught and causes decay to grow. 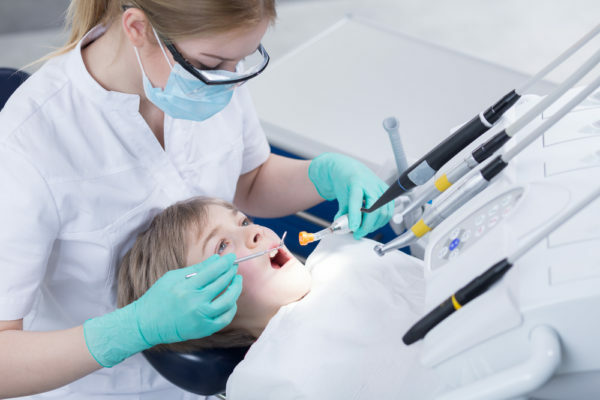 Dental sealants are a protective covering made most commonly of plastic or other dental materials, which allow for extra protection on your child’s teeth. In addition to daily brushing and flossing, dental sealants will help protect your child’s teeth from the common decay problems that can cause serious oral health issues in both children and adults. Dental sealants are highly recommended for children with soft enamel or other bacterial susceptibilities. The earlier one gets dental sealants, the better off they will be. By protecting your child’s molars from a young age, they will improve their oral health into their adulthood, making them three times less likely to get molar cavities than children without sealants. Cavities, root canals, and other dental problems that occur in molars are complicated and often expensive so sealing these molars with dental sealants is worth the investment! The process of getting dental sealants for your child is both fast and painless. The dentist will clean and dry the teeth, apply a gel, and then glue the sealant to the necessary teeth. Most sealants are clear so it will be easy for your dentist to continue to keep a close eye on your child’s teeth after applying sealants. Applying dental sealants is a safe, risk-free process without any side effects. Contact us today to inquire about getting dental sealants for your child! What’s the Difference Between a Pediatric Dentist and General Dentist?